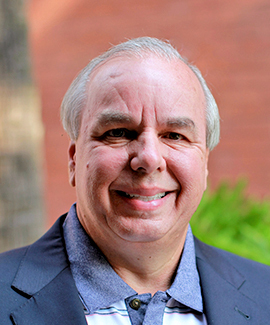 A recognized leader in the multi-family and university housing industries, with over 20-years’ experience in the development, construction and management arenas, Michael H. Godwin serves as president and chief executive officer of Ambling. As a partner and member of Ambling’s Corporate Council, Godwin is responsible for all facets of the company’s operations, including strategic planning, new business development, finance, administration, planning, and construction and property management. As one of Georgia’s most highly respected real estate executives, Godwin has built Ambling into a nationally recognized leader in the affordable housing markets. Godwin is an expert in the utilization of tax credits and other financial instruments in the development of affordably priced, quality shelter. Through Godwin’s strategic relationships with many of the top public and private universities nationwide, he has led Ambling to become an icon of public-private partnerships and to be a pioneer of innovative programs tailored to meet the specific housing needs of individual niche markets.